We specialize in working with property management companies, municipalities and commercial-industrial accounts. We work closely with on site managers to provide cost effective, long term solutions to the many problems caused by wildlife. 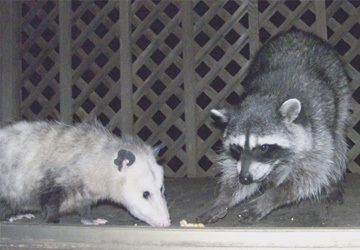 Wildlife Control Services,controls and manages wildlife in strict accordance with the laws and regulations of the State of New York Department of Environmental Protection Wildlife Division governing nuisance wildlife control. We always strive to provide the customer and the wildlife with the safest and most effective management techniques at our disposal. We use ecologically sound and integrated control techniques in resolving human and animal conflicts.